Investing in real estate can be the largest amount of investment in any personal asset. Unlike cars, which are a liability, the value of homes usually appreciates in the long run. Millennials today are choosing to live with their parents to save more money. Economic growth is increasing and unemployment is going down. However there is a giant controversy sweeping through the internet suggesting that it is better to rent than own your home. Let’s take a look at the advantages and disadvantages or renting against owning your home. Renting is simple and easy. You put down the required advance payment that is usually 2 months worth of rent and move in. There is of course a little bit of paper work involved with the landlord regarding maintenance and billing but nothing too complicated. The fact that rents tend to be lower than monthly mortgage installments is enough to convince most people to rent. People living from paycheck to paycheck, are unable to put down a substantial down payment, or even 20% upfront and start a mortgage plan. Real estate prices are on the rise in the US and to own a house, you have to increase your income somehow. An average American makes around $35,000 a year. After car lease, student loan payments, taxes and other expenses, that is not enough for most people to get a loan. Renting allows for mobility. Young adults who have not yet gotten married and settled down with families might need to move across state lines or even to a foreign country in search of better work and lifestyle opportunities. Although selling a house today is easy because of the bullish state of the market right now, renting is still the faster option. There is less maintenance when it comes to renting. In most cases, the landlord is in charge of most of the maintenance when it comes to electricity, water, gas, heating and cooling. You just have to pay your rent and the bills. Renting can allow you to get a bigger space than you could possibly afford. Many individuals that have a steady income choose to rent because of their lifestyle choices. Owning a home with a pool might cost you more on a monthly basis than if you rented it. •	When you pay your rent on a monthly basis, you get a roof over your head for the next thirty days but you don’t get to own the asset. You cannot sell the land and get your money back. •	If you default on your payments, you can be evicted easily. •	Renting might seem easier when you’re younger but once you stop making an income after retirement or due to some sickness, it gets significantly difficult. 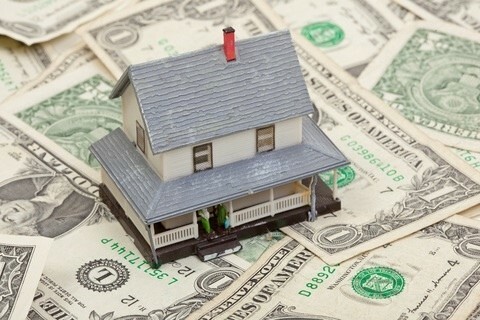 You rely on other’s incomes to prevent you from losing your home. •	You cannot rent to other people and make money from the asset. In conclusion, home ownership is the better way to go if you can afford it. There are ZERO Down loans, FHA loans and adjustable interest rate options for those people who cannot afford a hefty down payment.